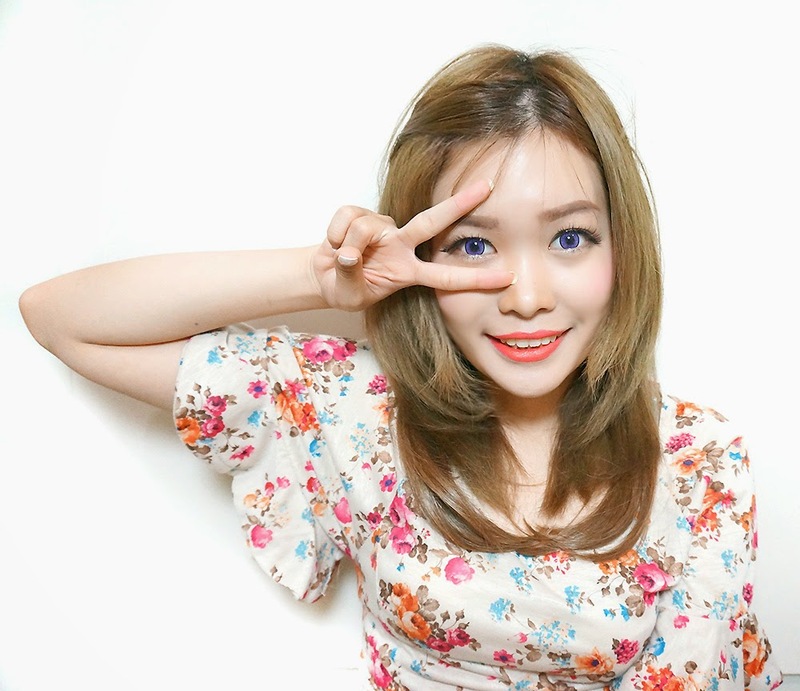 B-Eye is a Korean Circle Lens that has the same quality like Japanese Circle Lenses but with much much cheaper price! And easier to purchase as well for those of you who are in Indonesia! So the main distributor is Sparkling Chix whose sponsoring these lenses for me to use. I just can't can't share good products, right ? Last time is Sunflower, and this time in New Adult Series, and man, I totally look like an adult here! 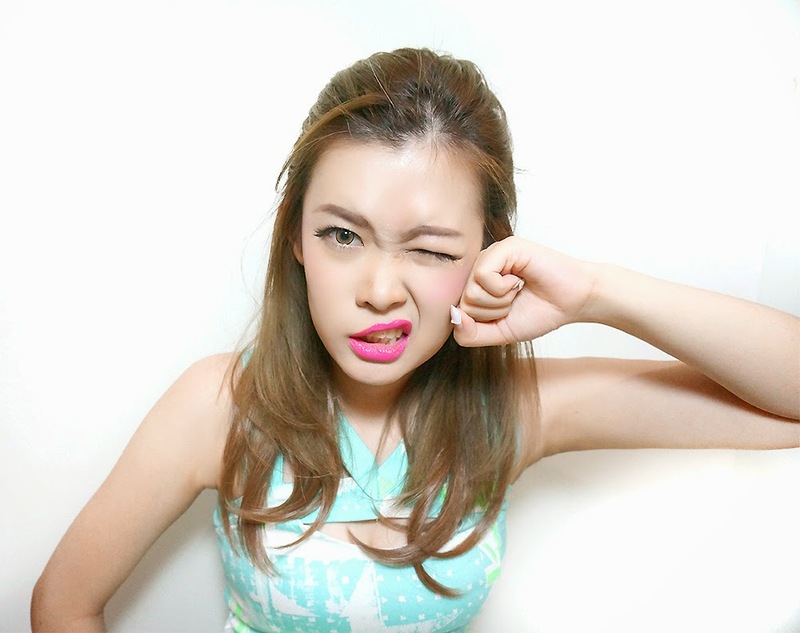 This pattern is really perfect for otona gal make up style! The green gives refreshing feeling to my eyes. 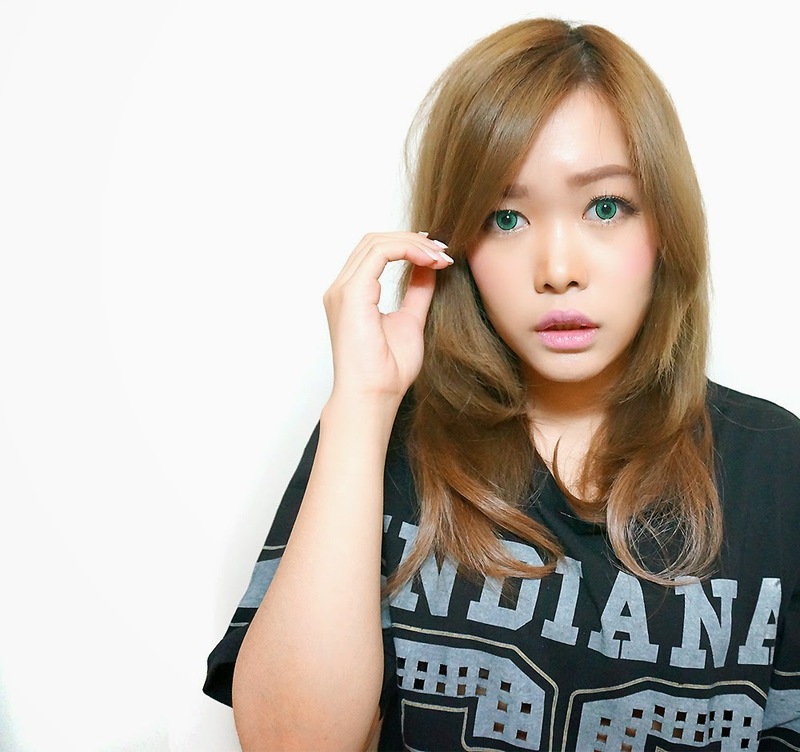 I hardly use green contact lenses but this one looks amazing and I look so cool and mysterious with it! 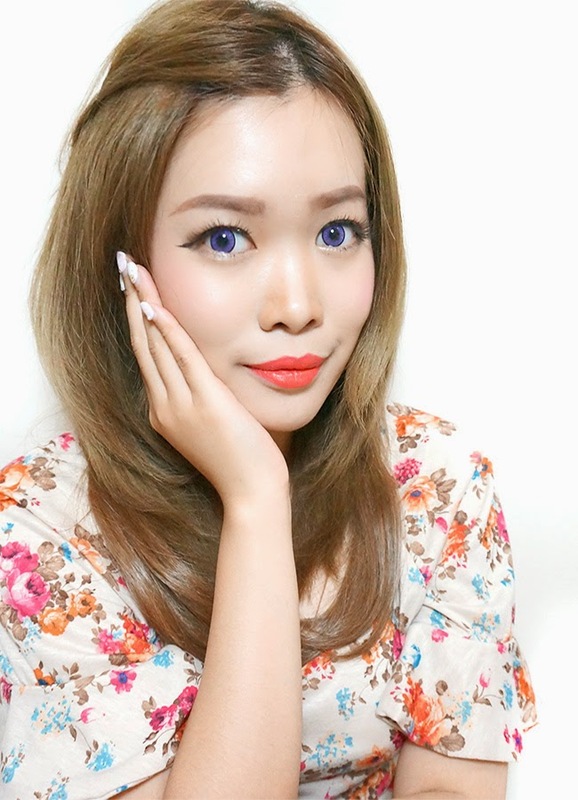 For Violet, I think it gives fun and cheerful look and makes me look kinda dreamy! Anyway, Sparkling Chix is also having promo! 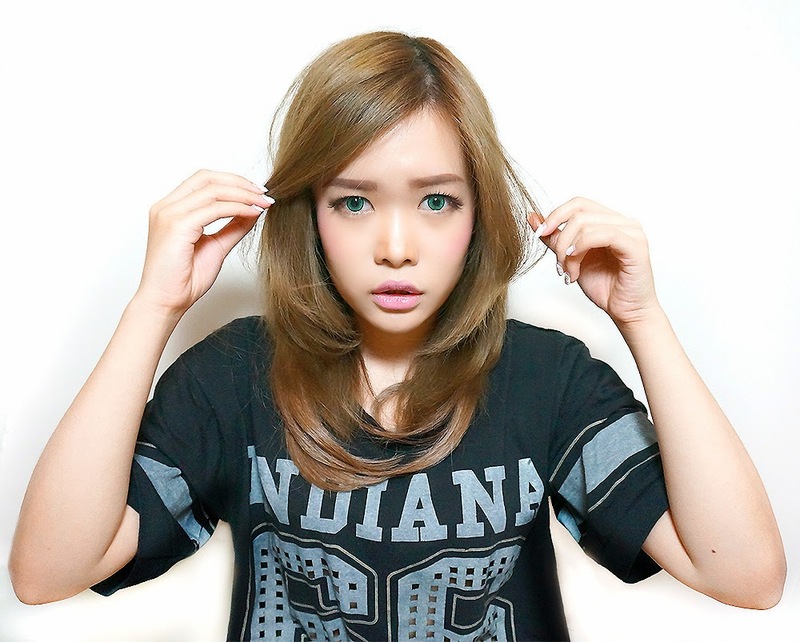 If you buy more than 2 pairs of B-Eye from them, you will have lottery ticket that the prize is to win iPhone 5S!!! 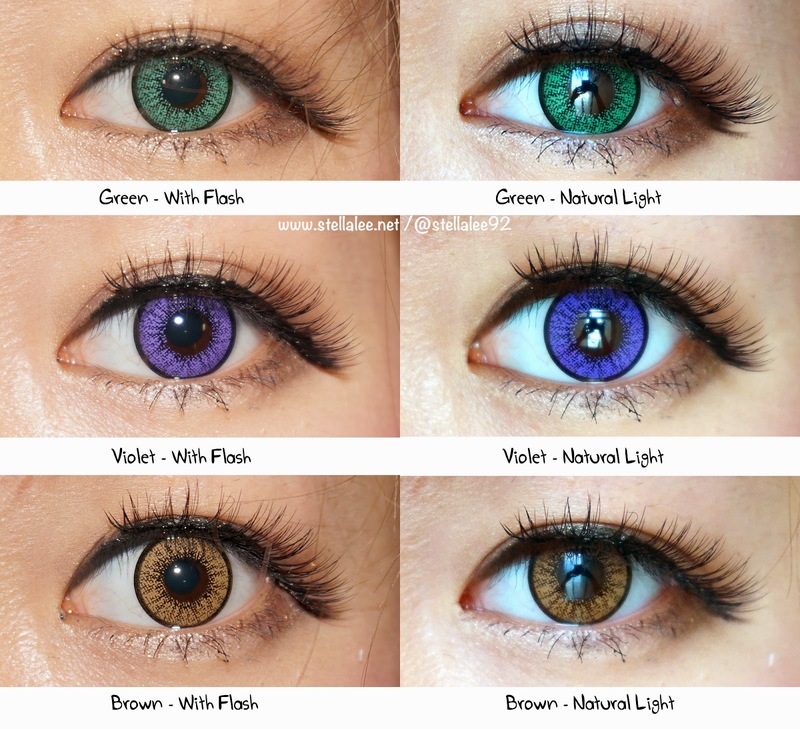 I like purple or violet..but for contact lenses..brown is better..
oh ya... I had a bee talk too..can you accept my request friend..?? i think green suits you so well ci tell . 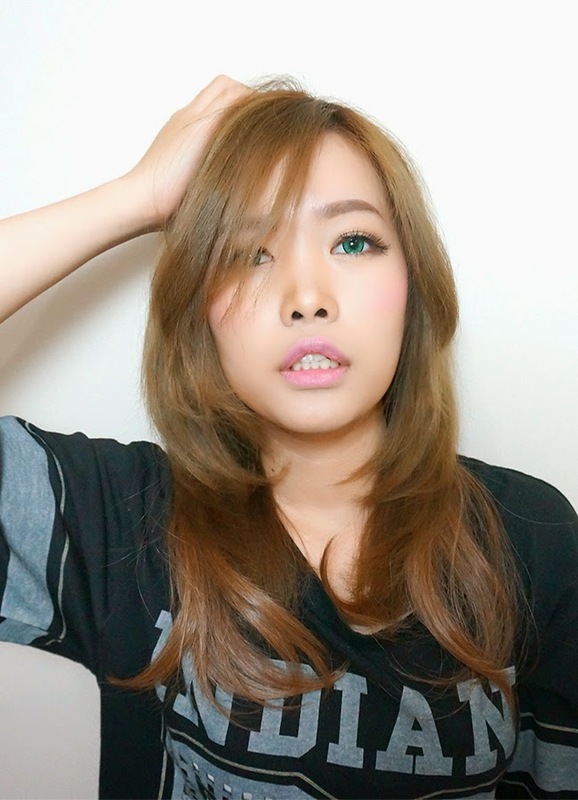 I love the brown color lens :) I think the pink lips look the best on you! I wanna ask you. I am using glasses till now but for my graduate this october I will use contact lens. what color do you think that suitable for me? where I can get the lens like yours? cocok banget sama hairstyle yang ini '-'b nice~! !